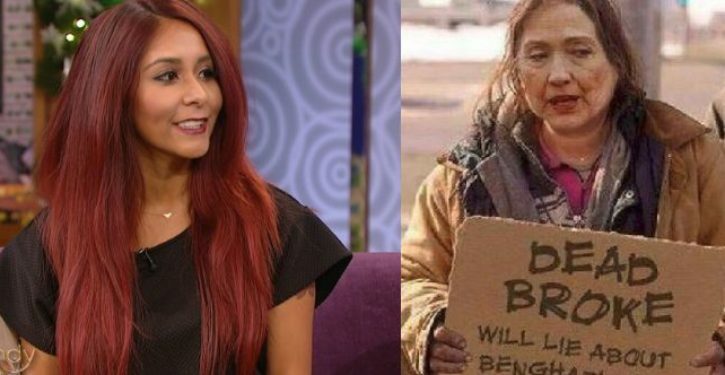 When Hillary Clinton spoke at Rutgers University Thursday night, she was paid $25,000, which is $7,000 less than MTV reality star Nicole “Snooki” Polizzi received from an appearance at the university in 2011, according to NJ.com. Clinton appeared at Rutgers to discuss “politics, American democracy and her role in shaping women’s political history.” Polizzi, on the other hand, was paid $32,000 in 2011 to speak to students about studying hard, but partying harder. Rutgers has dished out more money for other speakers in the past. Nobel Laureate Toni Morrison made $30,000 in 2011, and former White House press secretary Bill Moyers received $35,000 to speak in 2015. Other universities around the country have also paid considerably more for appearances from public figures. Actor Matthew McConaughey was paid $135,000, as well as travel and expenses, to speak at the University of Houston. Television host Katie Couric was paid $110,000 in 2006 from the University of Oklahoma. 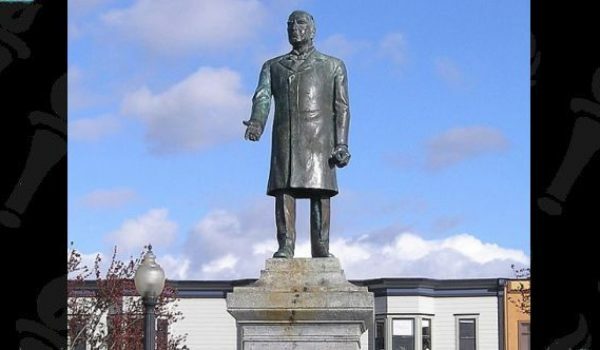 Why is one California city planning to remove a statue of William McKinley?